oh know! was the wiki of the MFU. It crashed several times, we repaired it and now it's finally crashed and we won't repair it. 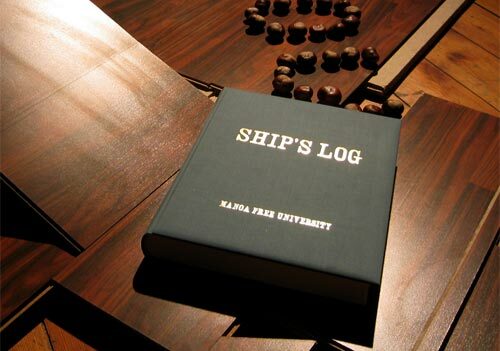 So... here's the whole wiki in pdf - as layouted for the fantastic encyclopedia SHIP'S LOG (3,7mb). 497 pages with every single wiki-entry ordered alphabetically, from AlternativeEconomics to ZusammenRendern. There's just one copy, it's fat and loooooking gooooood. For details on the publication see page 5 et seqq. in the pdf.